Our Chevrolet Matiz custom made luxury car mats are perfectly tailored to fit the interior of your Matiz. 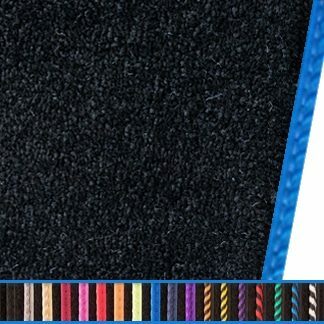 Available in 4 different grades of premium high-quality carpet and a variety of custom trim options, our tailored luxury car mats will add a stylish and sophisticated look to the inside of your Chevrolet Matiz. The mats are also very easy to remove and very easy to clean, so you can continue to give your Chevrolet Matiz that showroom look and feel.